K9 training concepts is proud of our team of pet lovers and dog trainers. Our staff are not only experienced dog trainers, but we are also excellent in working with your family to explain fundamentals of dog training in a way that is easy and fun for your family to learn how to have a well behaved dog. Our kennel has 5 people who live on-site of our training campus. Your pet will be looked after like family. Elise is the Owner and Lead Trainer of K9 Training Concepts. She began working with K9 Training Concepts in 2004. Prior to K9 Training Concepts Elise was a Senior Director for a large non-profit. Running K9 Training Concepts is a dream come true for Elise, and feels she is living her dream each day. Elise has certified three Search and Rescue Dogs, and is currently training her 4th. 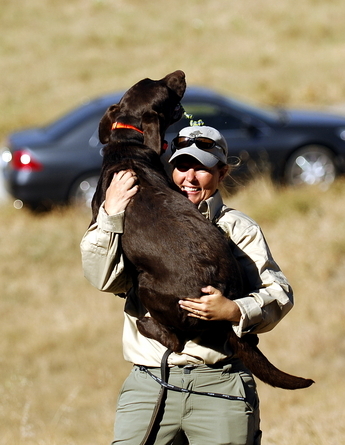 Elise is a FEMA K9 Search Specialist for CA TF4, as well as a resource for California Rescue Dog Association (CARDA), Canine Specialized Search Team (CSST), and Yosemite Search and Rescue (YODOGS). Tim is a trainer with K9 Training Concepts. He joined the team in 2008. 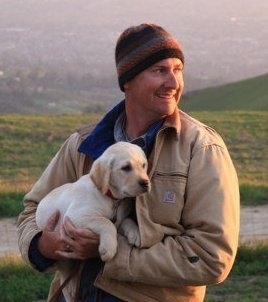 Prior to joining K9 Training Concepts, Tim was a Director with a global investment bank in San Francisco. Tim is a Firefighter Paramedic, and FEMA K9 Search Specialist with his dog "Tater". Tim is a resource for San Mateo County Search and Rescue, FEMA California Task Force Three, Yosemite Search and Rescue (YODOGS) and the California Rescue Dog Association (CARDA). Omar is our Ranch Manager for K9 Training Concepts and starting working for us in 2015. 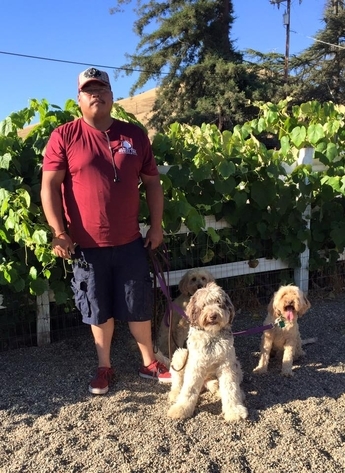 Omar does more than manage the kennel, he is the back bone to keeping us organized, the animals fed and exercised and the rest of the ranch operating at top level. You will find Omar exercising the dogs, bringing dogs to and from the play yard, providing taxi service for dogs, and keeping Elise and Tim focused with daily duties. Omar also lives on site, and will help with dog check in and out your dog after his boarding stay with us.